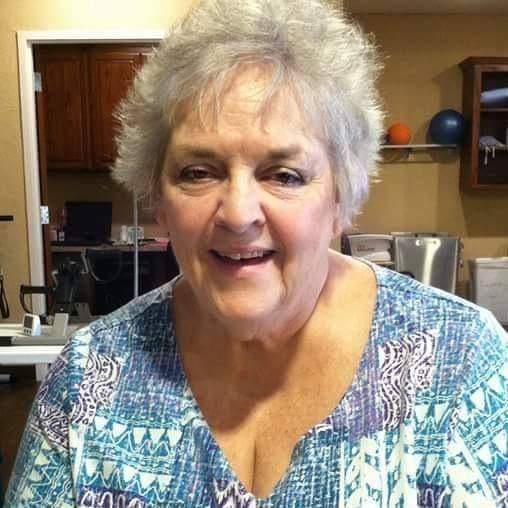 Catherine Diane (Smith) George of Duncan, entered this life on August 23, 1947 to Archie and Violet (Blaylock) Smith in Holdenville, OK. She departed this life for the arms of Jesus on March 26, 2019 in Duncan. Cathy, or Diane to her family, was raised most of her life in Duncan where she graduated high school in 1965. She also attended LaJean’s Beauty School in 1967. She later worked for R&S Drug #3 where she took medical retirement in 2003. Cathy married the late James R. George in April, 1965. They later divorced in 1986. She was a member of the New Hope Baptist Church West in Duncan. In 2014, Cathy lost her youngest daughter, Stacey. It was by far the most difficult part of her life. Her faith saw her through but her heart was forever broken. Her passing will be felt by many. brothers, Donald L. Smith, Dennis R. Smith; and sister in law, Kathryn Smith. She is survived by daughter Julie Betterton and husband Ronnie of Ardmore, OK; brother Charles Smith and wife Linda, of Waxahachie TX. She was the proud Nana of four grandchildren; Matthew Betterton and wife Valerie, Caitlin Jamison and husband Jeramy, Luke Betterton and fiance’ Ashton Hartsell, and great grand-daughter Jessi Jo Jamison; as well as a host of nieces, nephews, cousins and friends. Following cremation, memorial services will be done by the family at a later date. Don Grantham Funeral Home, Duncan, assisted the family with cremation arrangements. Condolences can be made for the family at www.granthamfuneralhomes.com.